“Young Mr. Hoover,” my short play about 12 year old Johnny Hoover, who already displaying the behavior that he’ll take with him to adulthood, will be featured in G-Men in G-Strings: The J. Edgar Hoover Follies, 9 all new, all comic short plays inspired by America’s unlikeliest cross-dresser. 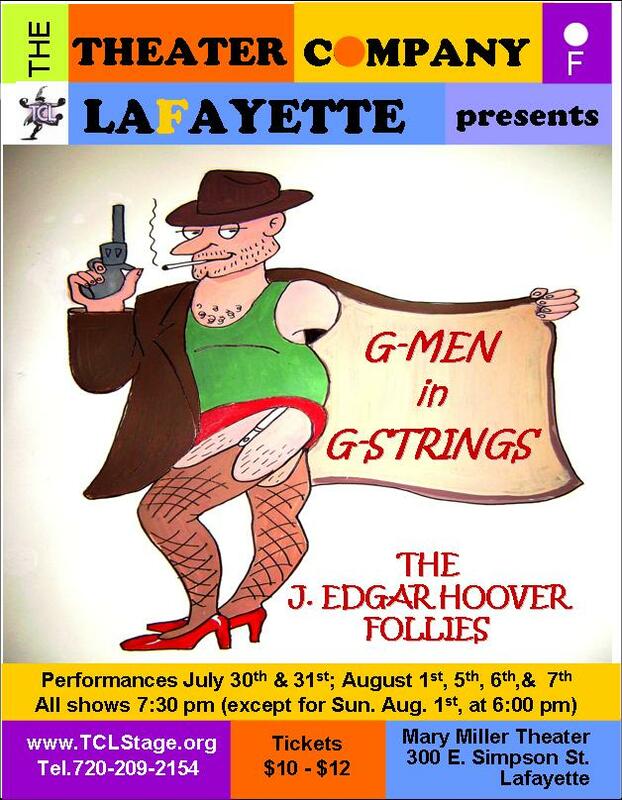 It will be performed July 30th – August 7th at the Theater Company of Lafayette. I’ll be running lights and sound, and singing from the tech booth. Yes, it’s a truly zany show.